1. 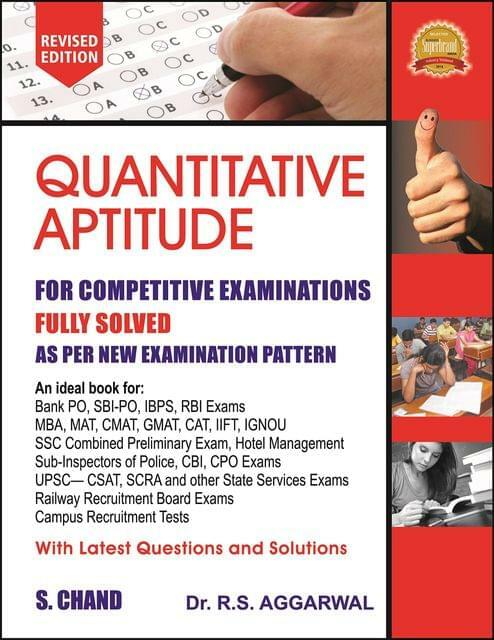 Comprehensive: The book is more comprehensive than ever before with more than 5500 questions (supported with answers and solutions—a hallmark of Quantitative Aptitude). 3. Latest and Updated: With questions (memory based) from examinations up till year 2016, the book captures the latest examination patterns as well as questions for practice.